President Maithripala Sirisena never meant taking over any ministry when he recently said that he would take over the responsibility of controlling the economy, Policy Planning and Economic Affairs Deputy Minister Dr. Harsha de Silva said yesterday. Dr. de Silva told a news briefing last afternoon that the President only meant taking control of the National Economic Council. “The President spoke to me minutes after the statement he made on talking over economic affairs under his purview and told me that he never meant taking over any ministry," Dr. de Silva said. “If the President had the intention of taking over any ministry he would have done so by now," he said. Responding to a question as to whether UNPers including him will allow the party to remove MP Ravi Karunanayake from the Assistant Leader's post, Dr. De Silva said no one could stop what the Marapone Commission had recommended. 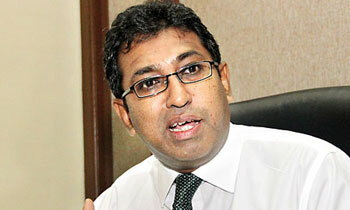 He said the Working Committee of the party would decide the fate of Mr. Karunanayake by the middle of this month. Referring to an allegation made by Sri Lanka Podu Jana Party that inflation had gone up , the Deputy Minister said it had actually gone down. “The total spending on essential commodities had gone down by Rs 500 in 2017. Also he said number of employment opportunities created last year had been increased by 4,63, 869 in 2017 compared to 2014. “Construction of roads is not stopped but what had come to a standstill is taking commissions out of road development projects" he added in response to allegations that is to bring made by the opposition. HE the President should take over all the ministries that are under the UNP jokers. Unfortunately we have a President who does not know whether he is coming or going so he gets manipulated by many and taken seriously by none. Does it really matter if you or the President runs the economy !!! both are the same, NO IDEA HOW TO RUN IT! while the earlier ones where even worst. Been an Economist, you guys seem to be running around the mulberry bush just like a Sinhala movie in the good old days. Yes, you are correct Harsha...If you cannot handle any ministry productively then how would your under-educated President handle ministries better? Are you all now expecting of us to listen to your decoding of politicians speeches? One of your colleagues has just advised us not to take so serious of what politicians say during the election times. Should we treat your statement also in the same way? President has made only a "Footnote"
he gets involved in so many issues he might as well be the President. Dear Dr Harsha,In case you want to be smart stay out of politics and do your job so that the people appreciate your contribution.You have already establised yourself as one of the up and coming leaders in the country. So be careful with whom you align and stay out of the mess and the people who may bring you down. Put in different spins to the statement is expected from the failed politicians. Not a surprise.